Organizations are struggling to wrap programs to increase the base level security on all devices, then Automate more process, and share more information with internal and external customers. This demands a fresh look at how operations teams works together including: share information better, improve patient care, streamline auditing all devices, and apply policy while still stretching the IT budget. 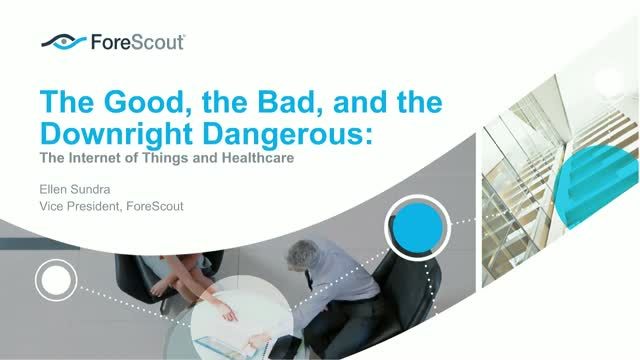 The medical industry is at the precipice of the IoT and corporate networks. Eilen Sundra, Vice President of Americas, Systems Engineering, Forescout Technologies, Inc. Presented by: Eilen Sundra, Vice President of Americas, Systems Engineering, Forescout Technologies, Inc.